My neighbours gave us a huge marrow. I was underwhelmed, I confess. Never had marrow? It's like courgette but without the really intense flavours. Yes, that is sarcasm. But I can't find it. It was sitting on the side for days; I went to take a picture and there it was... gone. It was a beast too: at least two foot. So that's not even my marrow in the picture. 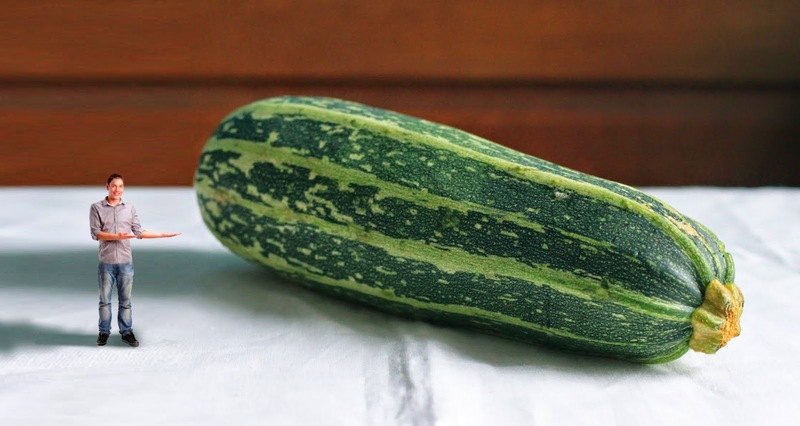 That's a picture from a marrow recipe blog. Oh bugger, this is a negative start to a blog after some weeks away. I don't even have a bloody picture of the missing marrow. I think my wife gave it to our other (vegetarian) neighbours after we learned that marrow had actually been second hand anyway, coming from a friend of the original neighbours. I hope you're paying attention? This is important stuff. The marrow was the second odd vegetable I was given this week. Anyone know what this is (pictured below)? I suspect it's some kind of squash. I'm not even sure who donated it and my wife was vague about this one too. Perhaps a work colleague? Not a marrow. Nice shot though. We closed for August. It was the first free weekend I'd had for five months. The timing was good, as I had a September deadline for my new drama episode for ITV. We also redecorated Etien's bedroom. He's come to that age where he suddenly feels the need to put away childish things and demanded a room that feels like his. Fair enough. I built him a big (massive!) desk for his computer and his artwork. You're thinking 'built'? It's a bit of wood on legs. 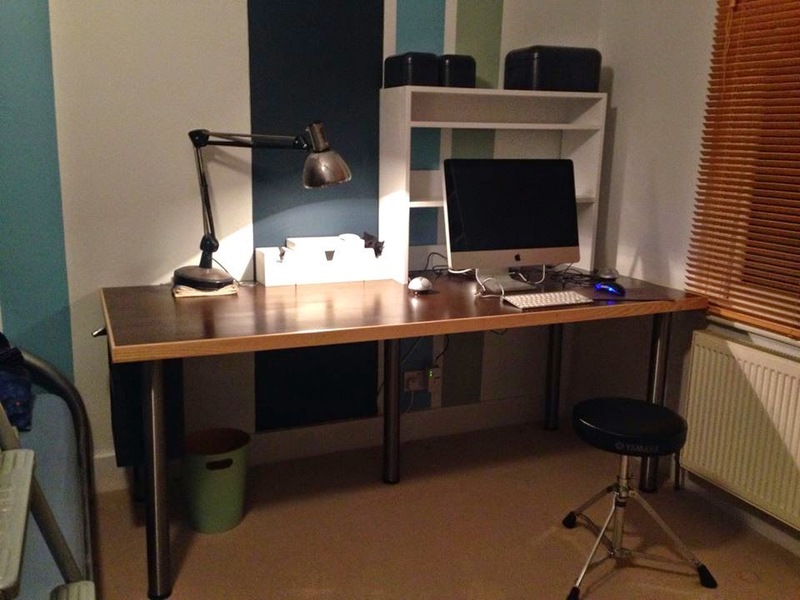 Yeah, but you're not seeing the cable management cut outs and tray and the nifty bedside cupboard too. There was also a great frustration with varnish that almost had me projecting the whole thing into next door's garden. The desk (and shelves) we built against the wall we painted. The drum stool has now been replaced with a proper chair. Food-wise? Not much. We decided that the boys don't cook enough so we have a new regime in place. Fabian cooks on Tuesdays, Etien on Wednesdays They must cook from a recipe (usually Jamie's 30 minute meals) and there must be vegetables. They do each dish twice; the first time with parental assistance and then second time solo. It's proving such a good idea, partly because we are all eating new foods. Also, it does seem to be true that if kids cook it themselves they are more tempted to eat it. 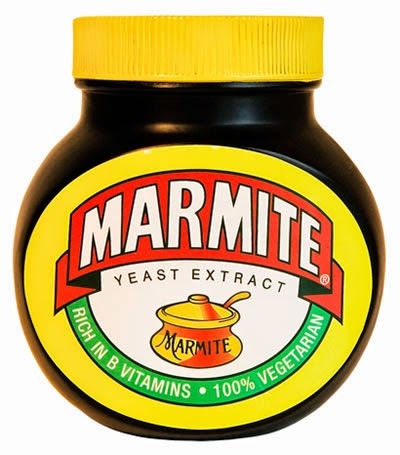 I discovered that I liked Marmite. This is after 40 years. I did one of those daft Facebook quizzes. "How fussy an eater are you?" There were only two things on the list I didn't like: sprouts and Marmite. I know I don't like sprouts - they are bearable pan fried with bacon but only because you can't taste the vegetable. Marmite I'd not tasted since I was, perhaps, seven years old. So I did, and I like it. I don't love it but it has a useful meatiness. I'll try it in beef gravy. The lemon tree has lemons. Twenty two small green fruit. This is amazing. The fact the tree is, is amazing. I am a bit like human glyphosate. No. That's not true. I don't mean to kill plants, they just do. But the lemon tree is bucking the trend. I doubt we'll have sufficient sun to render the fruit edible but will test and see. They smell fantastic. I bought some jugs... from America! I have a jug fetish (you at the back, no sniggering). So many jugs don't. A jug has two purposes: to hold liquid and to dispense held liquid. All too many fail at point 2. They splutter and dribble and overflow their spouts. These are American and technically they are pitchers. The one on the left is for lemonade apparently and is a shape you rarely see in Europe. I found them on a website called Etsy; second hand stuff at jumble sale prices. As I write this I'm feeling self conscious. 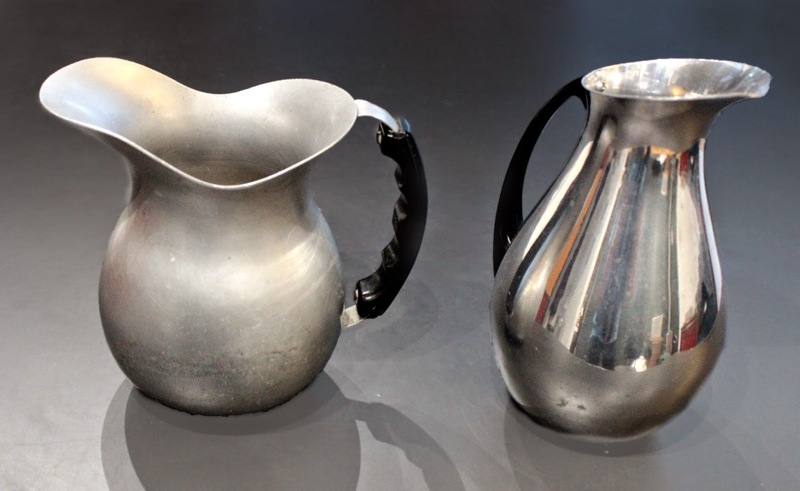 Who the hell sends to the US for cheap aluminium jugs? I've always been... let's call it 'partiular' about household goods. In college I spent a week's grant money (remember grants?) on a knife and fork. I still have them. My friends were... let's call it 'bemused'. *Finally, a small achievement of my own. You'll see less of me now... because there's less to see. Attendance at a wedding at the end of June necessitated the wearing of a suit. I have two: a large black one and a larger black one. Struggling to do up the trousers I reached for the larger suit, only to realise I was wearing it. It was a rubicon crossed. This far and no further. For three months I have fasted every other day. So far I've lost about two stone but I want to lose another two. Yes, I was that overweight. The only problem is that the only clothes that fit me now are twenty years old so not only will I be thinner I'll also be rocking a certain retro look.